Lemons are a member of the citrus fruit family and very common ingredient in cooking. They provide both flavoring and an acidity that many dishes need. Lemon slices and or the juice are used in fish dishes and any in the Southern states of the United States they are used in iced tea. While the juice is most commonly used, the zest (grated peel) of the fruit should not be overlooked as it brightens up many dishes. Avoid the white pith, as it is very bitter. Choosing: Choose brightly-colored, smooth-skinned, firm fruits that feel heavy for their size. Avoid those with blemishes or decayed spots and those that look shriveled and feel soft. Procuring: India tops the production list with ~16% of the world's overall lemon and lime output followed by Mexico (~14.5%), Argentina (~10%), Brazil (~8%) and Spain (~7%). Lemons are used to make lemonade, and as a garnish for drinks. Lemon zest has many uses. Many mixed drinks, soft drinks, iced tea, and water are often served with a wedge or slice of lemon in the glass or on the rim. 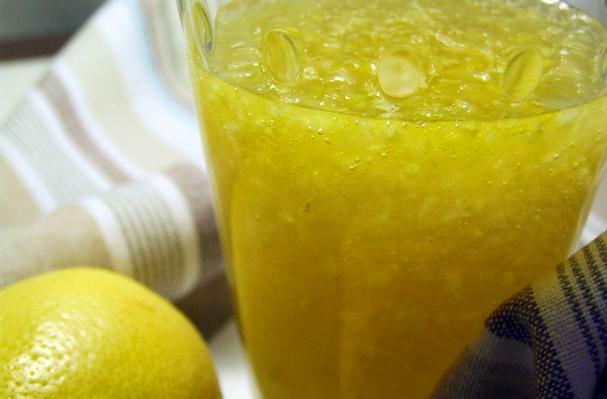 Allowing lemons to come to room temperature before squeezing (or heating briefly in a microwave) makes the juice easier to extract. Lemons left unrefrigerated for long periods of time are susceptible to mold. In South and South East Asia, it was known for its antiseptic properties and it was used as an antidote for various poisons. History: The exact origin of the lemon has remained a mystery, though it is widely presumed that lemons first grew in India, northern Burma, and China. Lemons are one of the most versatile and multi-purpose ingredients I know. I love lemons! !